A new bizarre kind of Holocaust revisionism has landed, incredibly blaming Palestinians for inspiring Hitler to exterminate the Jewish race. 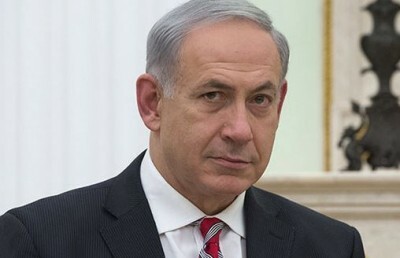 Israeli Prime Minister Benjamin Netanyahu is not known for his nuance, but his disregard for historical facts themselves took a new turn today as he claimed, in a speech in Israel, that Nazi leader Adolf Hitler actually did not want to exterminate Jews until a Palestinian religious leader convinced him otherwise. My grandfather came to this land in 1920 and he landed in Jaffa, and very shortly after he landed he went to the immigration office in Jaffa. And a few months later it was burned down by marauders. These attackers, Arab attackers, murdered several Jews, including our celebrated writer Brenner. This statement is almost too absurd to debunk, but for the record, Haj Amin al-Husseini met Hitler in November 1941. Although the origins of the Final Solution itself have been hotly debated among historians, we do know that by March of that year Hitler was openly talking about a need to make sure the “Jewish-Bolshevik elite” would be killed, as well as “all Jews and card-carrying Communists” in the lands that Germany was taking from the Soviet Union; this order was carried out by Heinrich Himmler, who delivered these instructions to the Einsatzgruppen on March 13th, 1941. The phrase “complete solution of the Jewish question” was first uttered by Nazi leader Hermann Goering who gave the task to SS General Reinhardt Heydrich on July 31st, 1941. The killing centers in Poland were organized under so-called Operation Reinhard, and work on these units began in October 1941, a month before the Mufti visited Jerusalem. It is a sad irony that Netanyahu is distorting the history of the Holocaust in order to shift blame to the Palestinians, but it makes sense in the context of his politics. Netanyahu’s goal has been to deny Palestinians rights and to claim they are simply driven by irrational hatred – this form of incitement that shifts blame from the Nazis themselves to the Palestinians is exactly in line with his politics. But the absurdity of the claim may backfire on him.